Historic Resources are buildings, structures, fragments, landscapes or features that represent an important development in Edmonton. 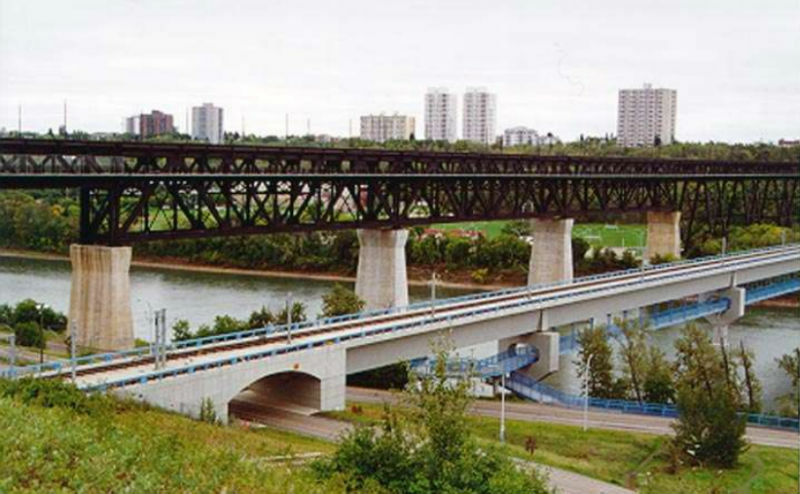 It may have a unique architectural style or have been associated with a prominent person or event in Edmonton’s history. 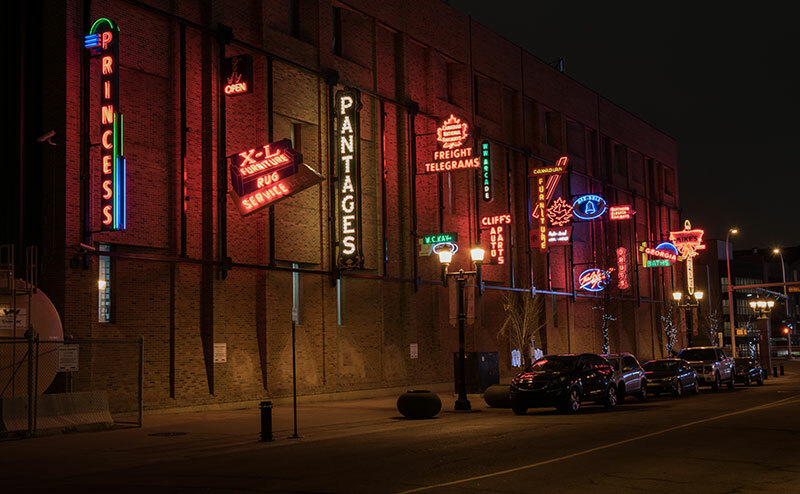 The Neon Sign Museum features restored neon signs from Edmonton's past. Walking tour pamphlets to guide citizens and visitors through Edmonton's historic areas and buildings. Description of the heritage areas within the City of Edmonton. The Historic Resources Management program was developed to identify and save Edmonton’s historic resources with the goal that today’s developments are tomorrows heritage. The City is committed to preserving historical resources that represent our past and enhance our urban environment. 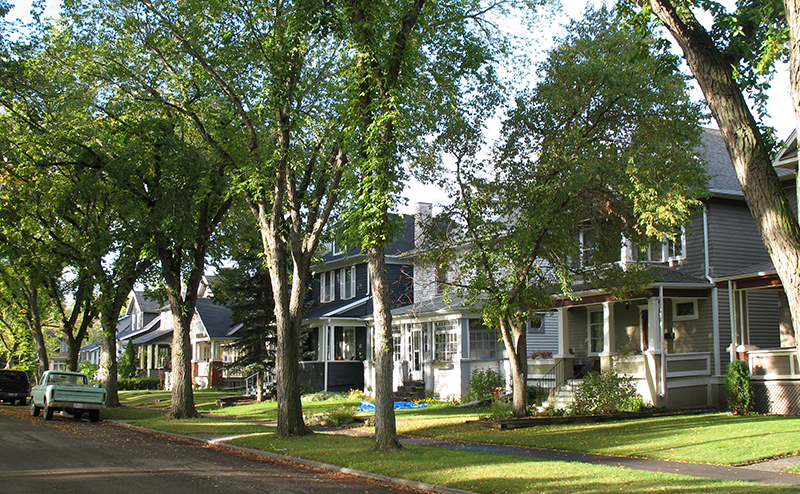 The Historic Resources Management Program was put in place to identify, facilitate and manage the protection and reuse of Edmonton’s Historic Resources. 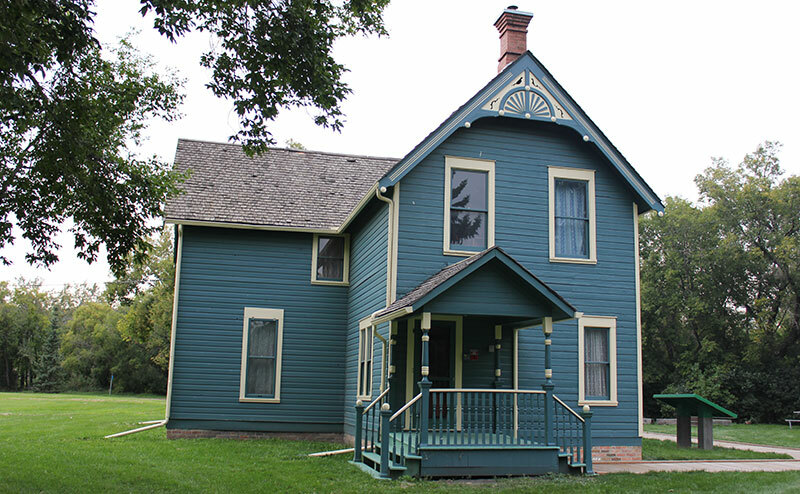 The City works with property owners to make historical resource projects feasible. The program offers opportunities for buildings to expand and change while maintaining the character defining elements and key features of the historic resource’s period. There are also financial incentives available to assist with some costs of restoring the building. Learn how the Register and Inventory Program started and expanded over the years. A city-wide study assessed buildings built up to 1959 in recognition of a significant collection of modern resources. The modern structures selected were added to the Inventory. The Register and Inventory continues to expand as significant resources are identified. The process featured a series of visioning exercises that were held in 2006 and 2007 to ask those with interest in heritage matters where they would like to see Edmonton in 20 years. The process aligned itself with national terminology, standards and processes. “A” and “B” designation of resources was removed, and all resources were given equal value. The Register and Inventory of Historic Resources in Edmonton and the Historic Resource Management Program was presented to City Council. While the Register and Inventory lists, identifies and locates each of the Historic Resources, the Historic Resource Management Program describes how these resources will be monitored and managed by the City. A project team identified significant buildings, bridges, landscapes, cemeteries, trees, architectural fragments, street furnishings and monuments to add to the Inventory. Natural resources, monuments, cemeteries and fragments were listed separately as Appendices. Historic resources of all types were evaluated using nationally recognised criteria. City Council directed Administration to "conduct a comprehensive inventory of all historical and architecturally significant buildings in Edmonton." A system was developed to evaluate buildings consistently. At that time, the Register and Inventory had two groupings of Resources; the “A” and “B” Lists. “A” listed buildings were considered to be the more historically significant than the “B” listed buildings. In response to City Council's request to be notified when demolition threatened any heritage buildings. Initially, only downtown buildings were inventoried. This list gradually expanded to include the inner city residential communities surrounding downtown Edmonton and Strathcona. The inventorying was done without a consistent standard with limited staff to manage the list. The City was awarded the Prince of Wales Prize in 2009.